Later this month the UN will discuss the possibility of autonomous killing machines at a convention on weaponry in Geneva. 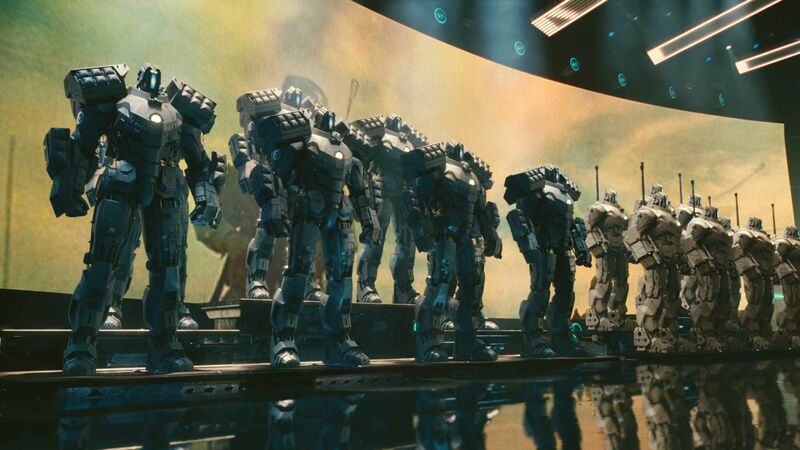 They are essentially talking about Terminators or drones from the Iron Man films (pictured), that is killer robots that don’t require human involvement or decision making. We could be in serious trouble if Google (AKA Skynet?) decide to get involved, or maybe they already are? Isn’t it crazy to think that we’re considering developing and building robots designed to, quite literally, kill ourselves. Surely it would only be a matter of time before they got into the wrong hands or experienced a life-destroying software malfunction. It’s hard to know how advanced technology has become in the most secretive and well-funded laboratories around the world, namely those involved in military projects. We can be reasonably sure these technologies do not yet exist, but equally sure they are close to being a possibility, if not a reality. The weapons experts talking in Geneva are therefore attempting to pre-empt killer robot manufacturers and impose a ban that will ensure the safety of us all.